Our Woodland Cake, a photo by RachIgnatiev on Flickr. Handmade felt wedding cake toppers and love the heart in the tree wedding cake. 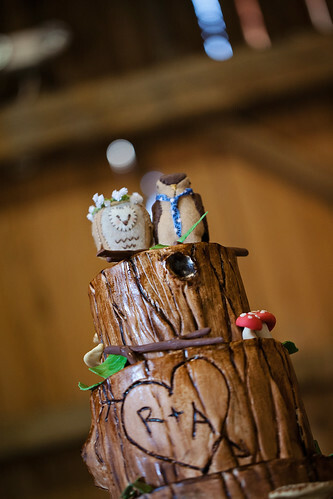 Tree bark-styled cake with mushroom and twig details. The cake toppers are an owl and hawk, handmade with felt.